It’s taken me a couple of weeks but I’ve finally figured out the source of a gnawing sense of restlessness and unease. I’ve had this low level panic running underneath my days and have been avoiding looking at it head on by scrolling through Facebook and Instagram and eating chocolate biscuits. I’ve been overtired, snappish with my children, impatient with my Love, and feeling as if there’s something I’m forgetting to do all the time. Part of it is certainly adjusting to a new life in a new town and a new, albeit very familiar, country. Part of it is the descent in to winter that impacts me more these days than it used to. But it was on a walk by the sea, a walking meditation at the end of the week last week, when it came to me as clear as anything what I’m missing: nothing. There is nothing wrong. There’s nothing lacking. I’ve been on a hamster wheel trying to build something, hustle for something – some indeterminable, intangible thing – to make me feel worthy of all the goodness there is at my finger tips. I’ve been trying to earn something that was only ever going to be a gift. Instead of joyfully tending to the things I love and derive energy from, I’ve insisted on striving for something that was never mine to own, or at least not yet. I’ve been juggling balls, demanding approval and affirmation for my juggling skills, while I’ve been longing for the trapeze and it sits lonely and still above me. I was never meant to be a clown, I’m the trapeze artist. So I’m going to drop the ball. The Lord is my Shepherd, I shall not want…. We live in such a culture of hustle and grab, productivity is King and money the sign of worth. But my soul knows it’s not the way for me. It’s taken me so many years to understand that nothing beautiful that has come in to my life has come through striving. And especially as we begin to go into the dark of winter, reassess what the year has been for us, we need times of quiet and stillness to restore our souls. So I’m dropping the balls. I’m excising ‘should’ and ‘ought’ from my vocabulary, I’m turning down the volume on the World’s demands. I’m gratefully receiving the gift of abundance that is everywhere and always to hand. I’m ceasing the striving to be someone I’m not. 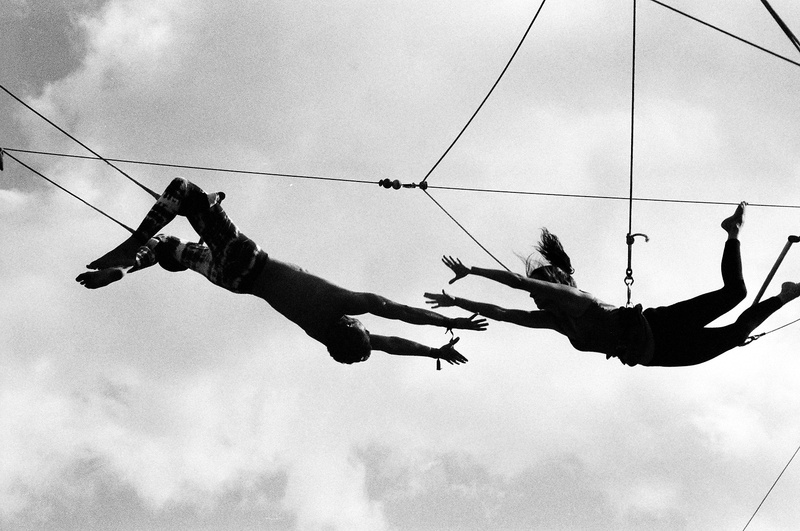 I’m having a swing on the old trapeze, touching the freedom of birds that fly. What things are you holding that don’t belong to you or are in fact holding you back from your true purpose and peace? Here’s the permission to drop the ball. Let go and know there is always enough, your empty hands will be filled with abundance.